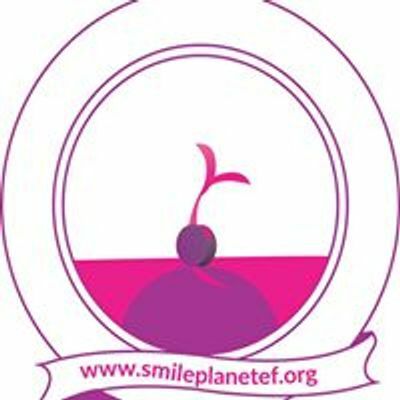 SMILE PLANET 15% Trade Fair is aimed to create a one-day enabling business networking sales and buying platform for vendors to Learn, Network and grow their businesses while at the same time creating solutions to bridge the gap between buyer’s desire and their satisfaction through goods and services. 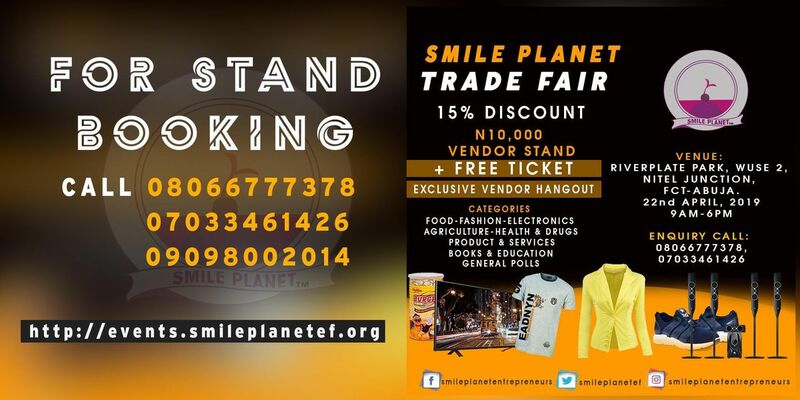 This trade fair will be open from 8:00 AM - 6:00 PM Nigeria Time, provision by the organizers' are Tables And Chairs, Rest Room, Music, Free Business Training For Vendors, Other Side Attraction, Security And General Coordination to ensure all participants are fully engaged and gain mutual benefits at the end of the fair. 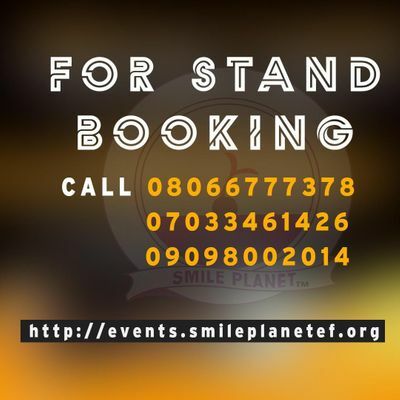 For further information or clarifications (Help Desk) kindly call +234733461426, +2348066777378 or send a mail to bWFpbHMgfCBzbWlsZXBsYW5ldGVmICEgb3Jn.